Louisiana has the 4th highest incidence and 3rd highest death (mortality) rate of colorectal cancer in the U.S. (Figure 1 & Figure 2). 46.5 people per 100,000 were diagnosed with colorectal cancer, while the national average was 39.4 per 100,000. An average of 17.5 Louisiana residents per 100,000 died each year from this disease, while the national average was 14.5 deaths per 100,000. 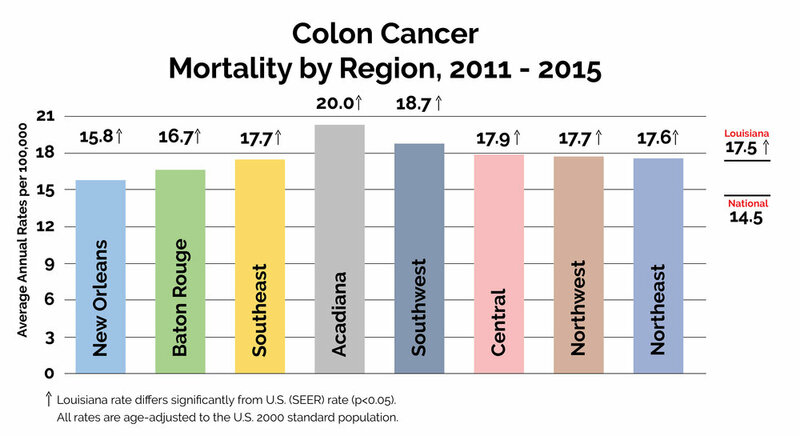 Acadiana, Southwest, Central, Southeast, Northwest, and Northeast, Louisiana have the highest colorectal cancer death rates in the state (Figure 3 & Figure 4). 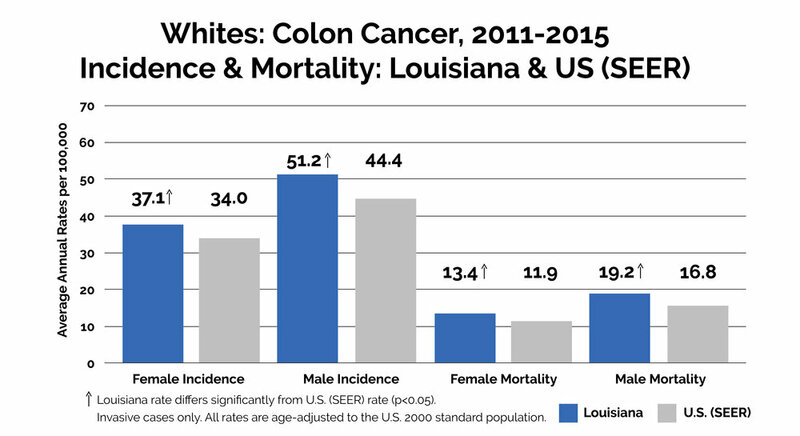 Colorectal cancer is an equal-opportunity killer, with Louisiana white men, white women, black men and black women having significantly higher colorectal cancer incidence and death rates than the rest of the country (Figure 5 & Figure 6). Colorectal cancer is one of the more expensive cancers to treat and rising. That means people pay higher health insurance premiums, as well as taxes. 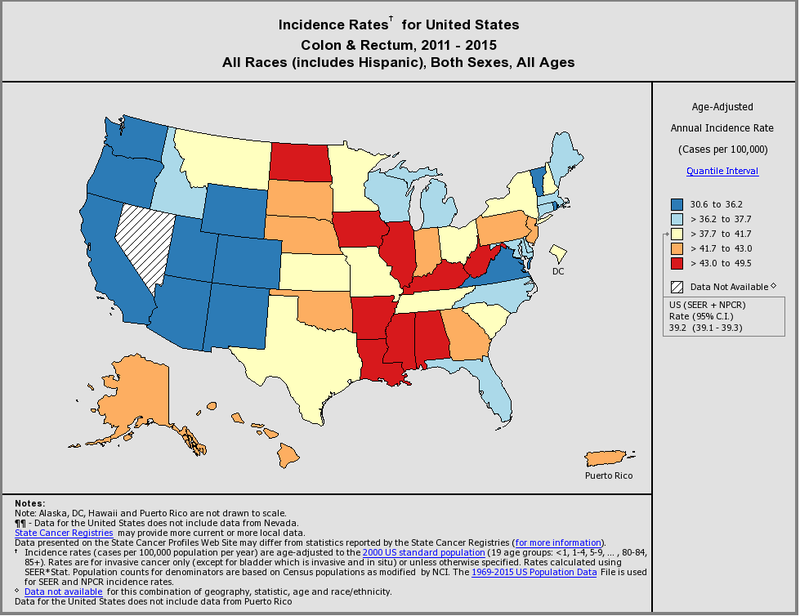 More information on cancer incidence and mortality is available from the Louisiana Tumor Registry (http://sph.lsuhsc.edu/data-use). Statistics other than what this site offers can be requested using the form on the Louisiana Tumor Registry website. 1. National Cancer Institute. Cancer Prevalence and Cost of Care Projections.